Put on your glasses and look at yourself in the mirror. What do you see? Your face, a frame and a pair of eyes hidden behind all types of reflected light. 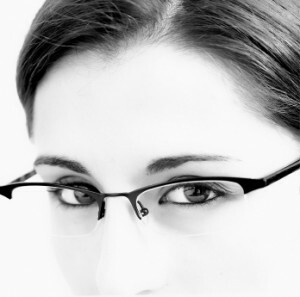 Eyeglass lenses are transparent, they allow light to pass through and enter your eye helping to improve your vision. But, as much as ten percent of the light that strikes the surface of a lens reflects. Those reflections hide your eyes from view. But more importantly they are the source of glare and double vision that can cause significant eye strain, visual confusion, discomfort and dangerous distractions. Reflections while reading, working at your computer or even watching television lessen contrast and cause visual discomfort and eye strain that can lead to headaches. In everyday activities annoying reflections lead to visual and physical fatigue. When driving especially at night, reflections cause strain and reduced reaction times, ghost images and unexpected piercing reflections can distract you and be dangerous. Our virtually invisible lenses eliminate reflections giving you clearer vision. They transmit 99.9% of light, reducing your eye strain and improving your vision. Our lenses reduce reflections from street lights, headlights and tail lights improving your reaction time and making your driving especially at night. This is not a thin coating applied to the top of your eyeglasses. This is a highly specialized surface manufactured with your lenses which is durable, scratch resistant lenses and easy to clean. Reflection free, virtually invisible lenses improve your visual comfort and enhance your appearance. Consult with the professionals at your local Parrelli Optical office.